Elizabeth Windham (Ellie) graduated in 2013 with her MA in International Education at New York University and BA in International Studies from West Virginia Wesleyan College. Elizabeth considers herself a "lifelong learner." Her blog, Walking in Other People's Shoes, is dedicated to exploring other people's career paths as she continues to discern her own. She has a long history of service—as a reading teacher for nine months in both Phaplu and Kathmandu Nepal, and more recently working with Americorps in East Harlem. Currently, she works as Interim Assistant for Homeless Ministries at Fifth Avenue Presbyterian Church. She manages the David B. Skinner Shelter and assist with homeless outreach. In addition she works in events at Crain's New York Business. In her spare time she serves as a Board member with Plai Theatre. 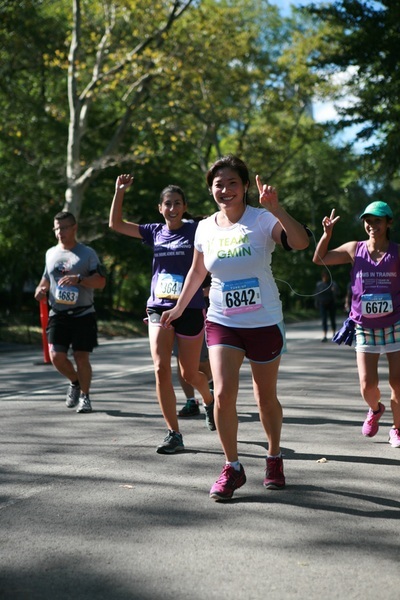 Ellie has completed 9 out of 9 races in New York to gain entry for the 2015 New York City Marathon. 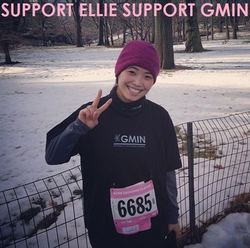 During the races Ellie has set a goal to raise enough money[$5,000 approx.] to help GMIN build a school in rural Nepal. 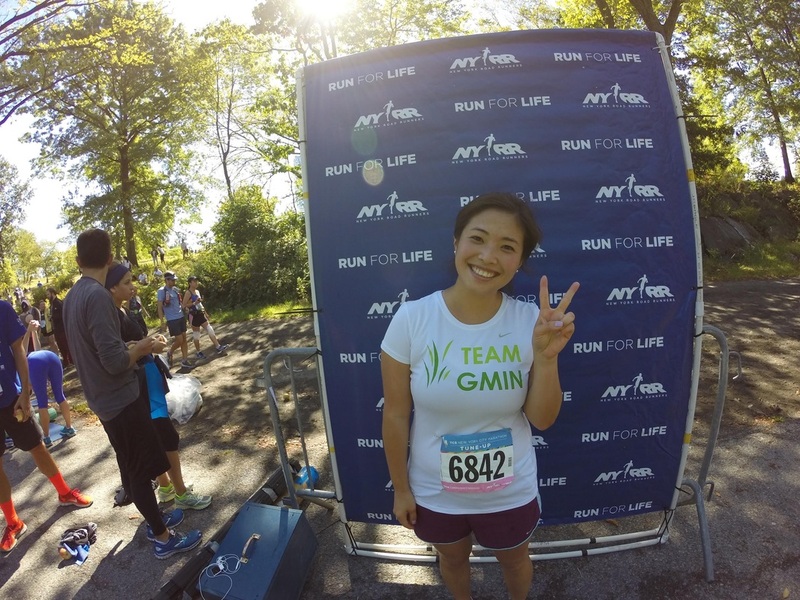 On September 14th she completed 18 miles NYC Marathon Tune Up. Join the GMIN family to support her to help GMIN continue its efforts in improving education in rural Nepal. To donate click here. 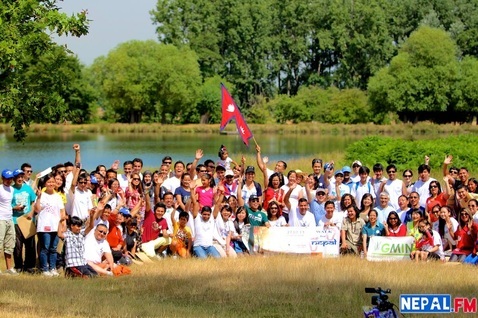 Following the grand success of Walk for Nepal (WFN) walkathon in the US conceived by “Walk for Nepal”charity and successfully organised at various cities like Boston, Dallas, New York and Washington D.C., the GMIN UK team set out to bring similar event to the Nepalese community living in the U.K. Thus, in our quest, we partnered with Help for Nepal Network UK team and WFN remotely from the U.S. creating a central committee that engineered this event from end to end. The event aimed(s) to initiate fundraising under the same roof by bringing together all the Nepalese charities that contribute towards awareness, sustainability and development of our country. Thus, extending our collaboration with other charities like Naya Yuwa, Mukti, and Live for Change and Heartbeat enabled us to raise the scale of our event and work together in achieving our ambition. The walkathon, organised on the 27th of July was set in the picturesque Richmond Park, one of the royal parks in London. The event was first-of-its-kind, stretching 3-5 miles along the edges of the park, organised for the first time by Nepalese charities for Nepalese cause in the whole of Europe. The event saw massive youth participation alongside the support from professionals from Nursing Association UK, NRN UK, HeNN UK etc. A total for £2463.00 was raised during the event out of which £857.00 was allocated towards GMIN UK. We would like to thank all the walkers, who joined hand with us, showed your devotion to good cause and proved that Nepalese are committed to bringing sustainable changes in Nepal, regardless of what, who and where we are ! 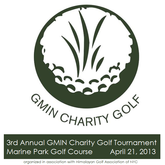 The 3rd annual GMIN charity golf tournament was held at the Marine Park Golf Course on April 21st 2013 in association with the Himalayan Golf Association of NYC (HGA). This years tournament was a 2-tier tournament and Thinlay Lama emerged as the winner in the low handicapped golfers while Palden Sherpa was the winner amongst the high handicapped golfers. Dechan Wangdi placed 2nd and Dawa Tenzi was 3rd amongst the low handicapped golfers while Anthony Sherpa was 2nd and Urken Lama was 3rd in the high handicapped golfers. 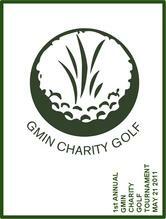 This years tournament had the biggest turnout so far and GMIN was able to raise US$ 1297 during this event. Our thanks to the golfers of HGA. 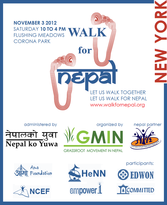 Grassroot Movement in Nepal (GMIN) along with Nepal ko Yuwa (NKY), a global Nepali youth movement, in collaboration organized “Walk for Nepal” (WfN) on December 8 in Flushing, New York. Despite the cold day, some 150 people marched in high spirits with a Nepali flag and the WfN Banner at the Flushing Meadow Corona Park. Nepalis and friends of Nepal from all ages and walks of life embraced the movement whole-heartedly singing and dancing to the songs that evoked memories and love for their homeland. 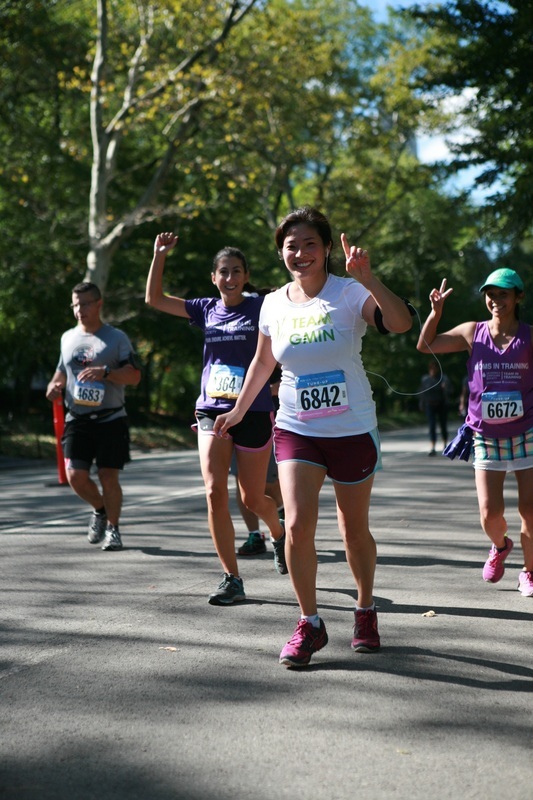 Seven Nepali charities participated in the walk and raised more than $10,000 for their causes. Ama Foundation, Community Members Interested (COMMITED), Empower Dalit Women of Nepal (EDWON), Empower 1, Grassroot Movement in Nepal (GMIN), Help Nepal Network (HeNN), and Nepalese Children Education Fund (NCEF) raised funds for their social causes. Twenty percent of the funds raised by the partner charities will be allocated to WfN Youth Innovation Fund to award competitive grants to Nepal-based social projects. 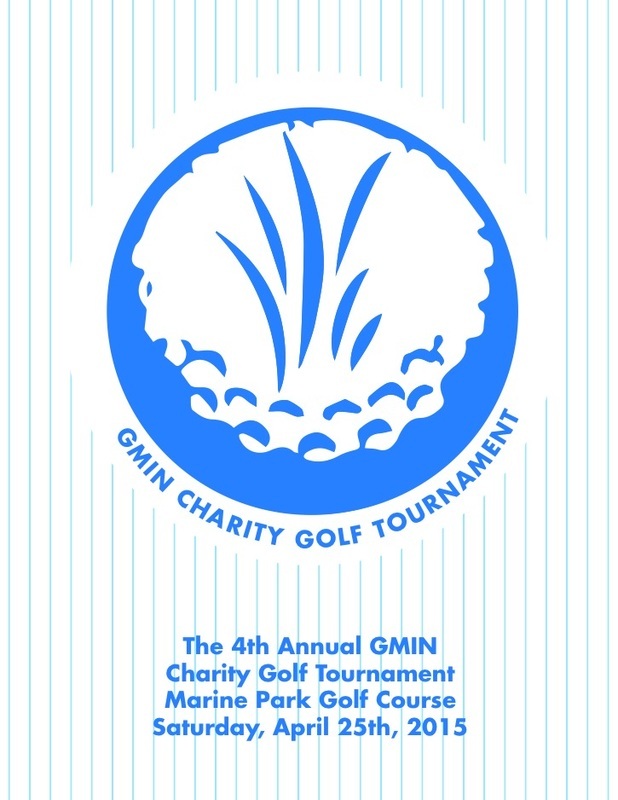 GMIN Hongkong hosted a successful fundraiser/awareness event on October 21 2012 at the Gold Coast Beach. During this event The GMIN Hongkong team invited individuals who have shown interest and supports towards GMIN's work in Nepal. 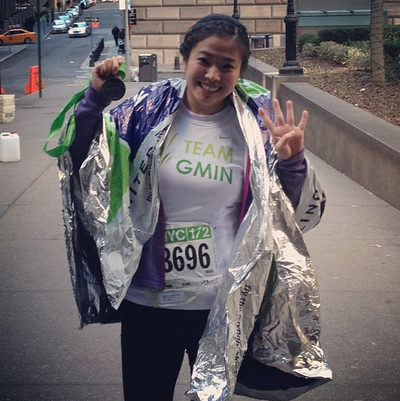 GMIN HK was able to raise some fund and create awareness about GMIN's efforts, goals and vision. 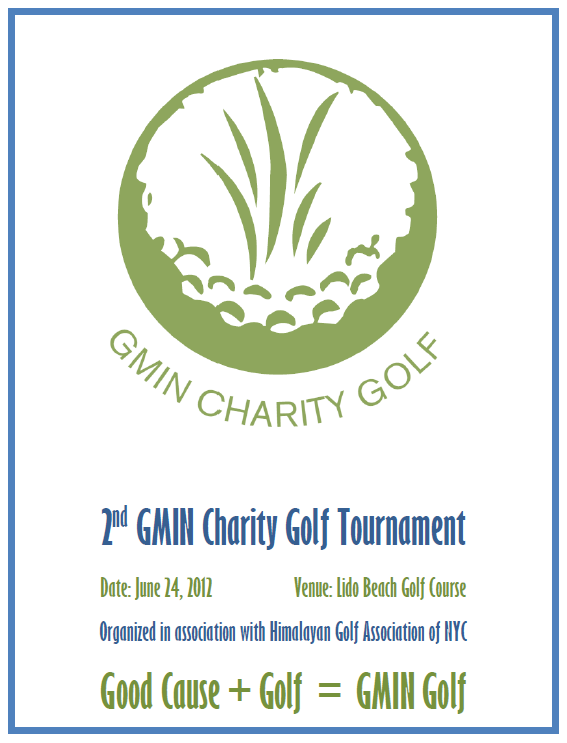 GMIN HK plans to participate as well as organize several event in Hongkong to raise funds for GMIN and create awareness. The GMIN HK team meambers are Sangam Samhamphey, Naren Limbu, Pabitra Rai, Ruksa Shrestha, Dipa Gurung, Yozi Gurung, Asesh Limbu, Anju Ghising and Pareena Subba. Keep up the good work Team GMIN HK. At the end Day 1 of the tour, the group safely made it to their destination for the night, the seaside town of Brighton in the east of England. The next morning saw them catch a ferry to cross the English Channel and by nightfall the cyclists were in Dieppe in France. With stops in Marines and Ile de Migneaux for the next two days, the group reached the outskirts of Paris on the evening of Day 5. On the morning of Day 6, the cyclists reached their final destination, Paris, having covered over 300 miles in the process. To make this experience more enjoyable for the cyclists, GMIN UK team looked after the logistics of this tour by arranging ferry tickets, accommodation and return journeys for the cyclists. In addition, the GMIN UK also arranged sponsorships from businesses for this event. On their return after successfully completing the tour, the team was welcomed by GMIN UK members and guests with a dinner party organised as a gesture of thanks. B-Fest crew have managed to raise £2122 from this event so far. 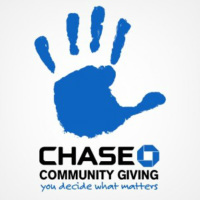 GMIN has been awarded $100,000 by JP Morgan Chase in the Chase Community Giving Challenge on Facebook. GMIN was nominated for the challenge by our supporters and finished in the 9th position with 19,999 votes. The voting period was between September 6th to 19th and GMIN thanks all its supporters and volunteers that made this a success. So far GMIN has completed 16 school in 16 villages and now with this grant of 100K we plans to complete 20 more schools in 20 villages of rural Nepal as well as provide more teacher and continue with the student sponsorships. GMIN would also like to congratulate Help Nepal Network and Nyaya Health, the 2 other Nepali organization that also won similar grant amount in this program. More details about the Chase Community Giving and other charities that won grants along with with GMIN. Our volunteers in Kathmandu after the last day of voting. Their efforts in gathering votes in the street, squares, colleges and schools was the major reason for GMIN being awarded this grant. A special THANK YOU to our Nepal Team. GMIN Director Jayadev Lama participated in the NYC triathlon on July 8 2012. Jaya completed the entire race in a very respectable 3 hours 7 minutes. The event consisted of a 1.5 km swim, 40 km bike ride, 10 km run. Jaya was also able to raise $1700 towards GMIN's cause to renovate schools and educate children in rural Nepal. GMIN thanks all its donors for supporting us. 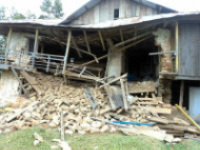 GMIN has established an Earthquake Relief Fund to support rebuilding of schools that were destroyed in north-eastern part of Nepal by a 6.9 richter scale earthquake of September 18th 2011. Information coming out of the affected areas is scarce at the moment as the only access into the region is by helicopter. GMIN is in conversation with several individuals and relief organizations from the affected region to gather more information. We were able to send our volunteers to survey and assess the situation of the schools that need our help and you can see the photos here. Volunteers of GMIN in Minnesota State University, Mankato organized a small welcome event for a Nepalese newcomers. GMIN would like to thank all the volunteers and participants who attended this awareness program. We paln to establish a MSU, Mankato chapter in the near future. GMIN UK attended the Nepali Mela on 28th August 2011 held in Richmond, London. This was our second event after the success of Gurkha Cup event. GMIN was successful in creating awareness of its objectives and its mission of improving education in Nepal’s rural areas. We got a lot of support from the public who were very appreciative of the achievement so far. They liked the idea that GMIN focuses on the holistic development of children. GMIN would like to thank all our supporters and volunteers who helped make this event a success. 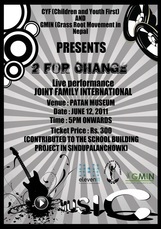 GMIN and Children & Youth First (CYF) collaborated for a benefit concert 2 for Change to raise funds to renovate schools in Sindupalchowk district. The concert featured Joint Family International a reggae band based out of Kathmandu. GMIN's child scholarship program 'Hamro Kadam' is an opportunity for foreign born Nepali children to contribute to the growth of education in rural Nepal. Foreign born Nepali children will sponsor children of GMIN schools in the villages of Nepal for their schooling thus creating a bond which will implant Nepal in the heart and mind of the sponsoring child. GMIN UK our newest and first chapter carried out a successful fundraiser and awareness campaign in the UK on May 29th, 2011 during the Gurkha Cup in Aldershot, Hampshire. Our thanks and congratulations to the entire GMIN UK team who organized this event and for creating awareness amongst the Nepalese community in the United Kingdom. Well done GMIN UK. Sona Pemba Sherpa the winner of the 1st GMIN Charity Golf Tournament 2011 receiving the trophy form GMIN president Sonam Ukyab. 27 golfers competed at the Tallgrass Country Club on May 21 in Long Island, NY. Anish Moktan, a seven year old from New York is the youngest GMIN donor when he donated $100.03 to GMIN. 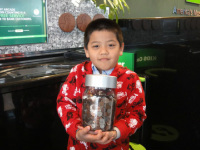 Anish was inspired to donate the change he had collected in his piggy bank when he saw the photo album in GMIN page in facebook. GMIN organised a week long teacher training workshop for GMIN teachers from Dang in Kathmandu. Five teachers from three schools GMIN renovated took part. GMIN has so far been able to get sponsorship for 7 students to their plus 2. 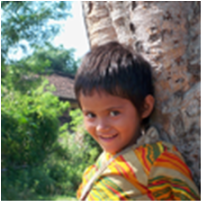 The yearly sponsorship is $100 which pays college fees, admission fees, test fees and books. 1000 pounds of children clothes donated by We Belivers group has finally been distributed in four villages of Dang, Nepal. The villages were Buradabar, Hapur, Bastikhola and Pokharichaur. Parbati Dangi a class 2 student and attends the school in Saigha, Dang is handicapped, supposedly due to polio. She walks half an hour uphill to get to the school. She was noticed by GMIN member Jayadev Lama from New York who visited Dang and personally sponsored her a crutch, a school bag and stationery for the whole year for NRs 1,500 or for US$ 20. Now she can carry the bag on her back and have her hands free, as she used to carry her book in a plastic bag.